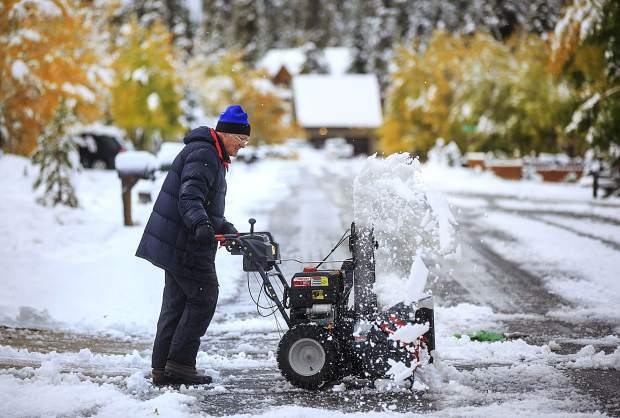 Summit county resident Ron Gilligan clears snow off his driveway in the Summit Cove neighborhood Monday, Oct. 2 near Dillon, Colo.
Out-of-state hikers trudge through the newly fallen snow on Sapphire Point trail Monday, Oct. 2. Aspen trees Monday, Oct. 2, at Keystone. 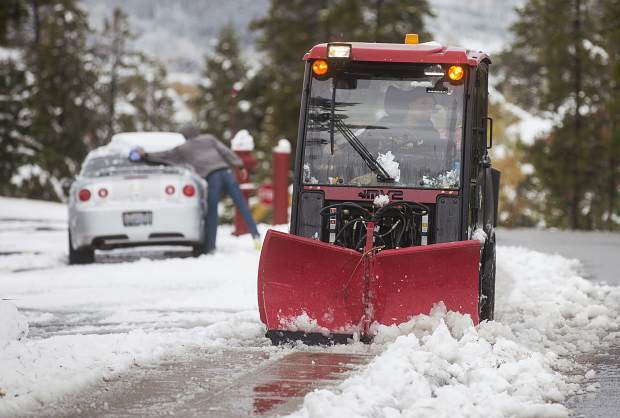 Snow removal machine clears snow off a sidewalk in Dillon Monday, Oct. 2. Tree leaves on the ground Monday, Oct. 2, near Dillon, Colo. 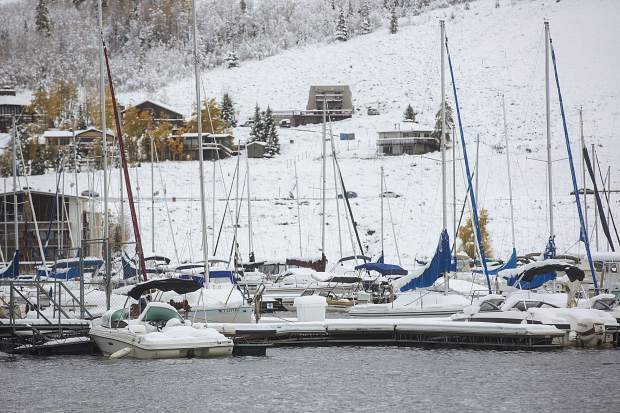 Boats at the Dillon Marina Monday, Oct. 2. 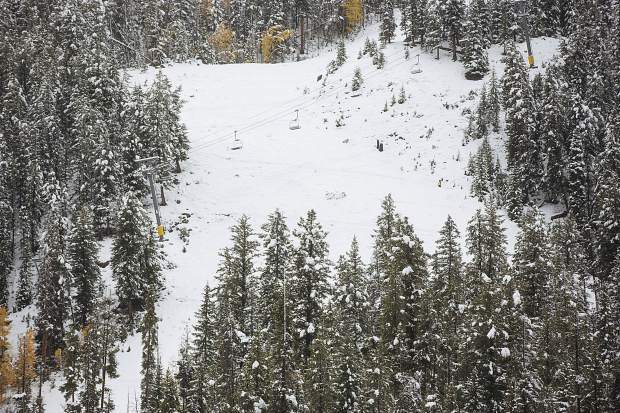 Chairlift not yet running above snow covered runs Monday, Oct. 2, at Keystone. 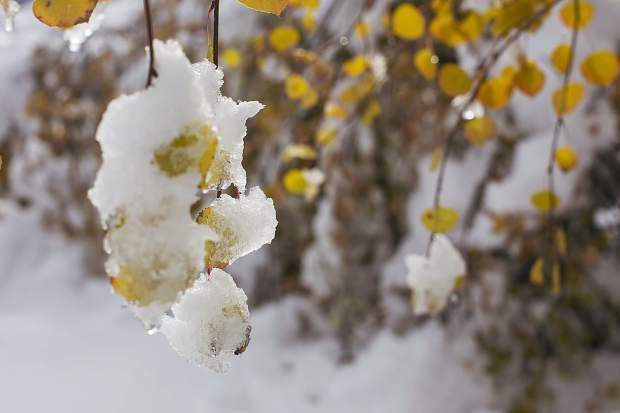 Field of shrubs covered in snow Monday, Oct. 2, at Keystone. Lakeside Village at Keysonte Monday, Oct. 2. 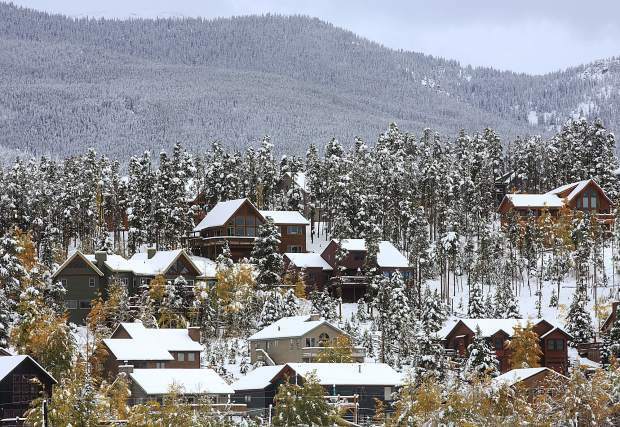 Summit Cover neighborhood in snow Monday, Oct. 2 in Dillon. Leaves yet to drop is covered in snow Monday, Oct. 2, at Keystone. 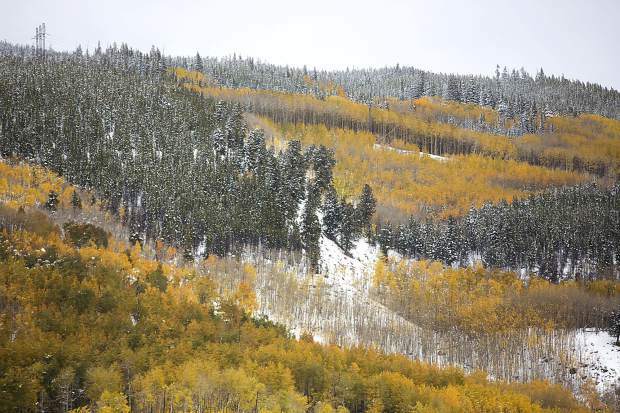 Snow blankets the landscape near Frisco Monday, Oct. 2,. 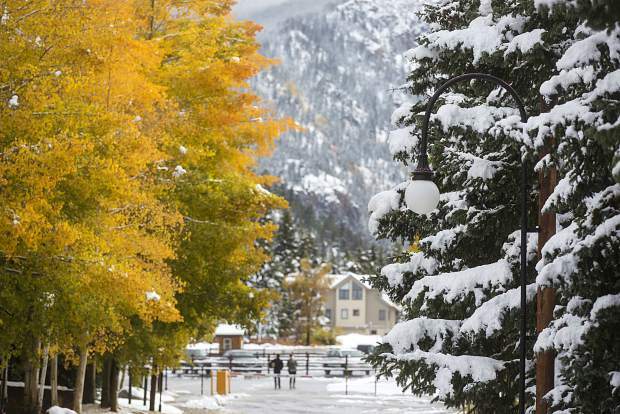 Aspen Trees and pine trees mix in the snow Monday, Oct. 2, at Keystone. 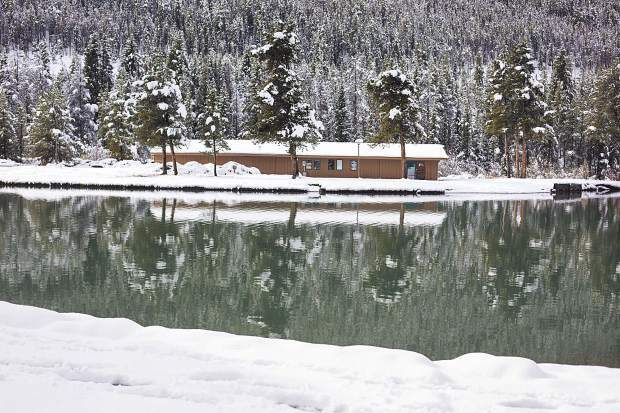 Keystone Ski Resort employee Paul Hamilton, of Orlando, Fla., shovels snow at the Lakeside Village near Dillon, Colo. Monday, Oct. 2. 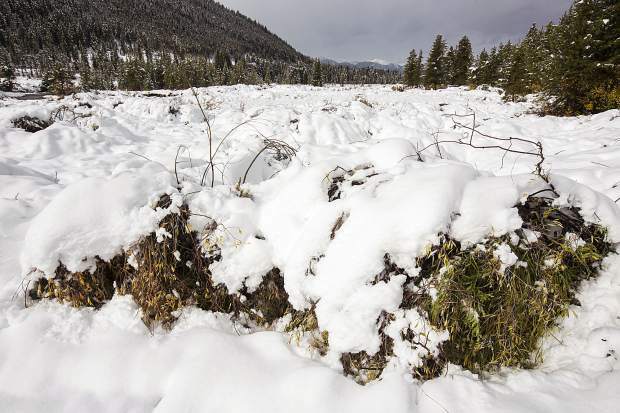 The first major snowstorm of the season came in force overnight Sunday, battering the mountains with heavy, wet snow that clogged traffic, canceled school and left more than 10,000 High Country homes without power into Monday morning. 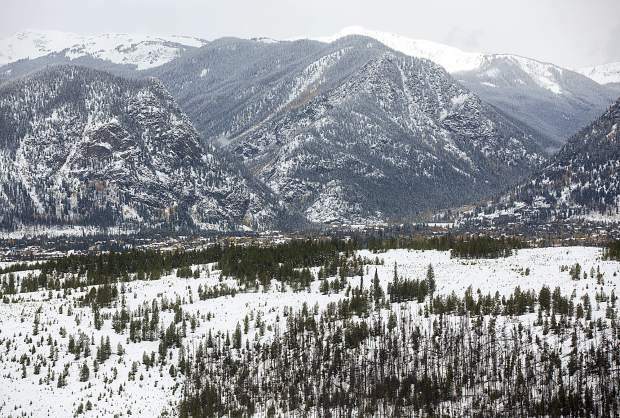 Simultaneous closures at major choke points on Interstate 70 at the Eisenhower-Johnson Memorial Tunnel and Vail Pass left drivers marooned in Georgetown and at a shelter in Vail, which soon filled to capacity. Despite the mayhem and lengthy mop-up efforts, which started to wrap up at around 9:30 a.m., Williams said he was not aware of any serious injury or fatality crashes in the Summit County or Vail Pass area. Still, a constellation of crashes, slide-offs and then power outages grounded travel in the mountains to a halt throughout the night. The timing of the storm was not unprecedented, but it was unique in that it lingered over Summit and Eagle counties all night, maximizing accumulations here. Gratz said late Monday morning that the break in snowfall would end in the afternoon but the storm would then taper overnight. The road trouble began in earnest Sunday evening as the snow began to stick at around 6 p.m. 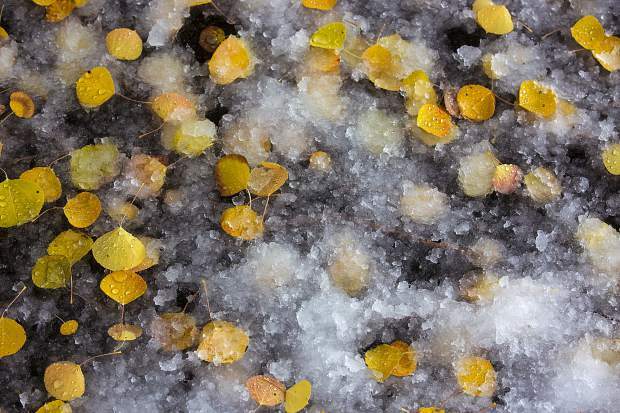 The National Weather Service warned of accumulations up to 8 inches in some areas. I-70 closed in both directions at the Eisenhower Tunnel at around 6:30 p.m. Sunday due to multiple crashes. 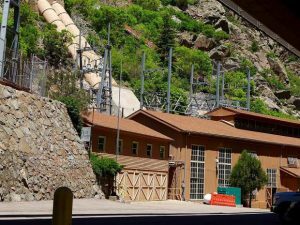 It re-opened an hour later but had to periodically close Monday morning due to power outages and the inability of Colorado Department of Transportation’s backup generators to compensate, Williams said. An Xcel Energy spokeswoman said the outages began at around 8 p.m. on Sunday night and affected nearly 45,000 homes in the mountain region, which covers Summit, Park and Lake counties. About half of those outages lasted less than five minutes, but by the late morning there were still more than 10,000 homes without power. By 2 p.m., the spokeswoman said, 92 percent of the 23,000 customers who experienced prolonged outages had their power restored. The outages prompted the Summit School District to cancel all classes Monday. Multiple crashes at Vail Pass and near Copper Mountain left that area of I-70 closed throughout most of the night, and travelers were housed at a shelter in a Vail municipal building. 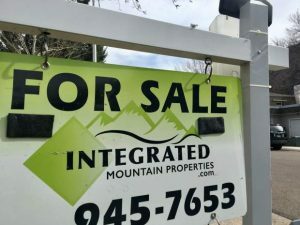 By early Monday morning, that shelter was full, and the Vail Interfaith Chapel was designated a backup. U.S. Highway 6 was not spared either, with Loveland Pass shutting down early Monday morning due to multiple jackknifed semis and staying closed until 11 a.m. The storm, however, was more good news for ski areas, some of which had already gotten an early jump on snowmaking. 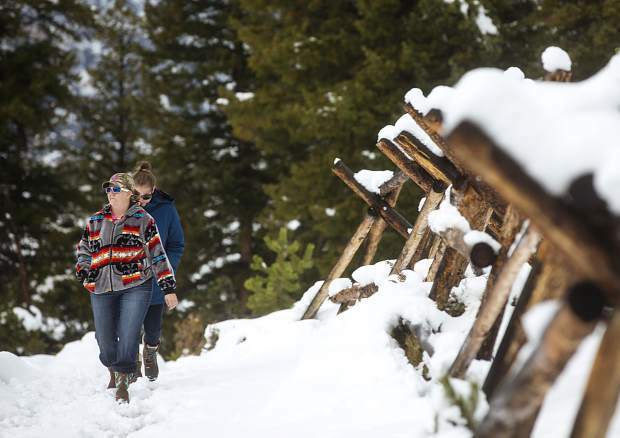 Mid-mountain snow stakes at some showed accumulations of 10 to 15 inches. All took to social media with posts boasting the fresh powder and ski runs covered top-to-bottom, if only with thin layers. 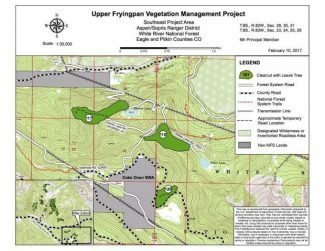 Arapahoe Basin and Loveland ski areas expected to open in mid-October, while Copper Mountain Resort, Keystone Resort and Breckenridge Ski Resort are slated for early November. Still, while the storm was exciting for skiers and riders, Gratz cautioned that storms this early in the season don’t presage a good year for snow.